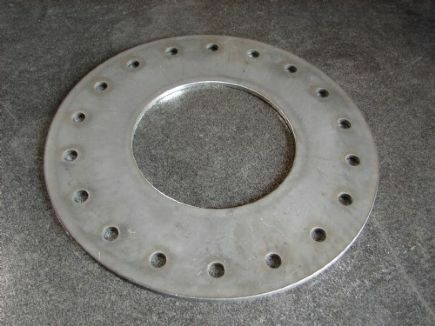 Are you in need of steel flanges and or hatches for your storage tanks? 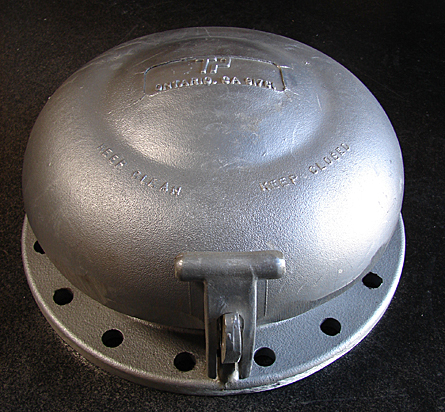 Tank Products, Inc., located in Ontario, California, offers a wide selection of pipe flanges and tank hatches for water storage tanks, fuel storage tanks and any other type of industrial storage tank you need. Our selection includes steel unitank and bolted flanges, back up, vapor and nozzle flanges along with locking hatches all made out of high quality and reliable materials. Being located in Ontario, we service the surrounding areas of the Inland Empire including San Bernardino, Riverside, Los Angeles, Orange County and throughout Southern California. But don't worry; we also ship our parts all across the country from California, Houston, Texas, New York and everywhere in between. Please feel free to request a quote or contact our office with any question you have regarding our storage tank flanges and hatches. We also carry a wide selection of fastening systems and liquid level indicators. 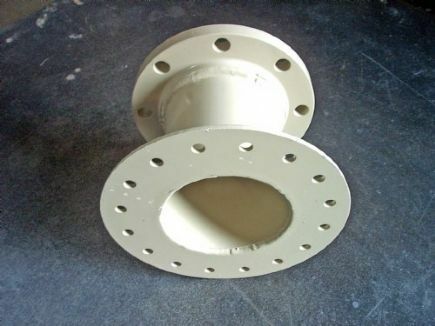 A216 Steel Unitank Flanges may be installed through a single hole in the tank walls. Manufactured to conform to A.P.I. 12-B-2.6 specifications plated finish and sizes from 1/2" to 6". Comes with 1 gasket. 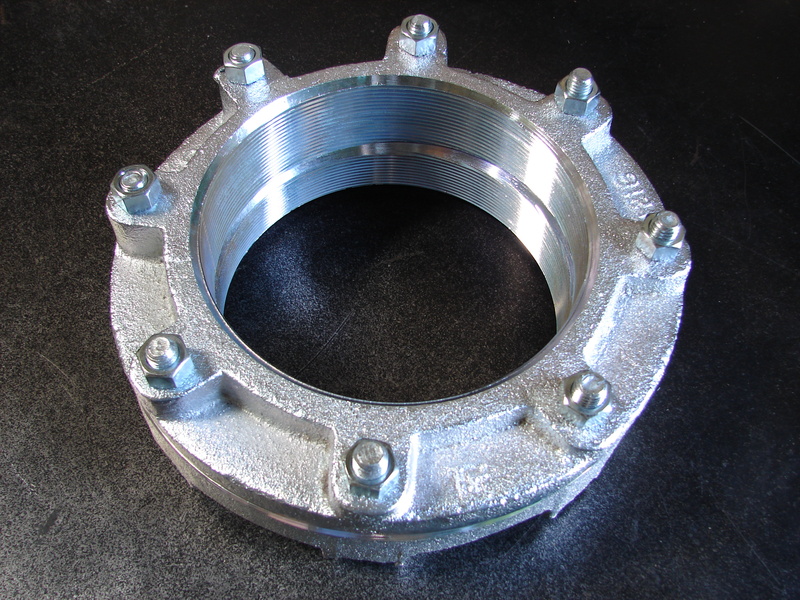 A216 Steel Bolted Flange Unions come in sizes from 1" to 8" and are manufactured and plated to conform to specifications A.P.I. 12-B. Also available are HILLSIDE bolted steel flanges which have plated finishes in sizes 2" 3" 4" 6"and 8" for top deck installation. 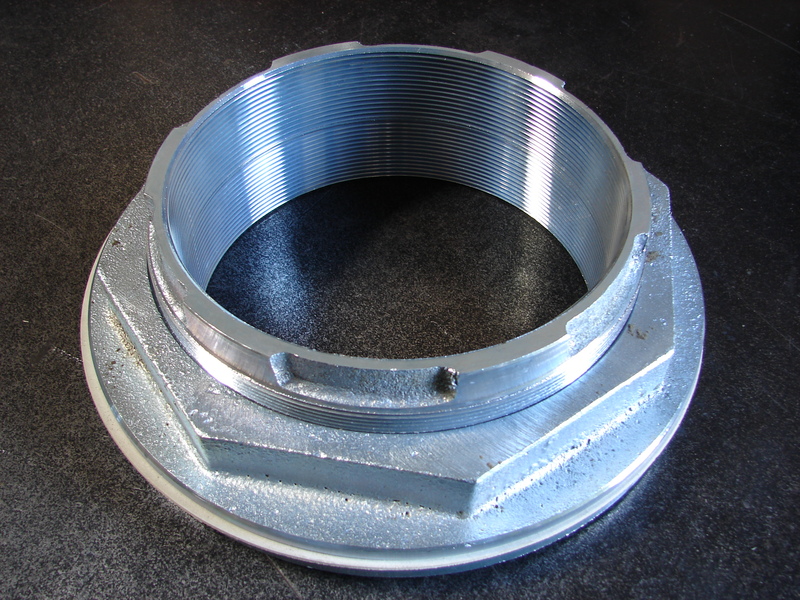 This 1/4" thick steel flange can be used as a vapor, back up, or tank side nozzle flange. All holes are 17/32, every 2 inches on center. Available in 2",3", 4", 6", 8", 10" and 12" pipe openings. Both EPDM and Buna gaskets available for all sizes. These nozzle flanges are approx. 8.5" face to face projections. Available in 2-3-4-6-8" sizes. 150lb rasied face flange on nozzle side joined by sched. 40 carbon steel pipe to a 1/4" steel plate flange on tank side. Powder coated in a drinking water safe coating in the color of Tank Tan. Tank side gasket in either Buna or EPDM included. This model offers spring loaded vacuum and pressure settings of 4 oz. with .04 oz. vacuum. All units are made of high quality, cast aluminum with standard API 10 3/8" diameter bolt center for 8" tank opening and 16 holes for 1/2" bolts. Also available for weld on steel base. Can be used on fiberglass and steel tanks. Shipped complete with base gasket. Shipping weight approximately 11 lbs.